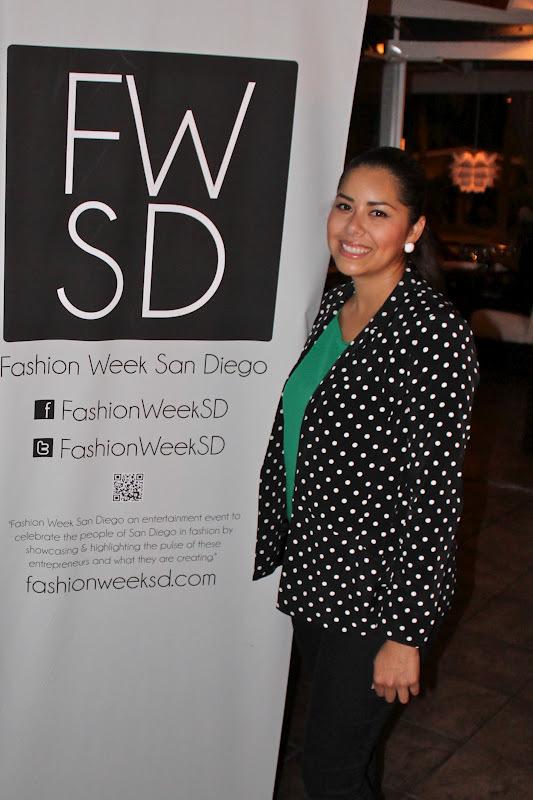 Last night I had the pleasure of attending the Fashion Week San Diego Press conference where we were treated to hors d'oeuvres and a sneak peak of each of the designers' upcoming collections. 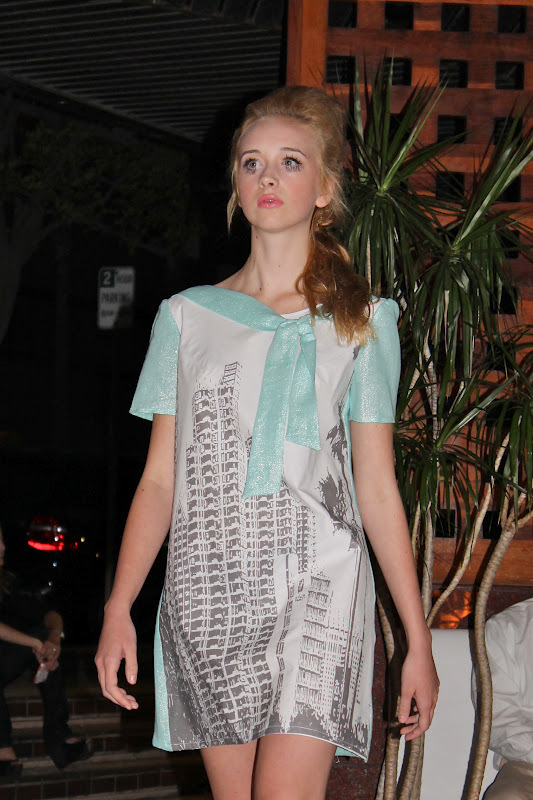 The preview built up the excitement for October when these fourteen San Diego based designers will showcase their Spring 2013 collections. If you are in San Diego or the surrounding areas make sure to come support our local talented designers! Buy your tickets here as I hear they will sell out! Current code 'TRENDSETTER' will give you a $25 discount! Love this post I can tell the excitement is bulding up for Fashion Week I too will be attending my local one in Phoenix. I love your outfit especially that bangle with the rhinestones its so vintagey. You got really good pictures too. Looks like you guys had fun :) Your green top is sooo pretty. Emerald green is such a lovely hue...especially on you! looks so exciting !!! love that blazer killing it girlie !! I totally love what you were wearing - so chic! i love the dotted blazer! and looks like you had a fab time, i've never actually been to a runway show yet! Looks like a fun time! That orange dress is quite bold! 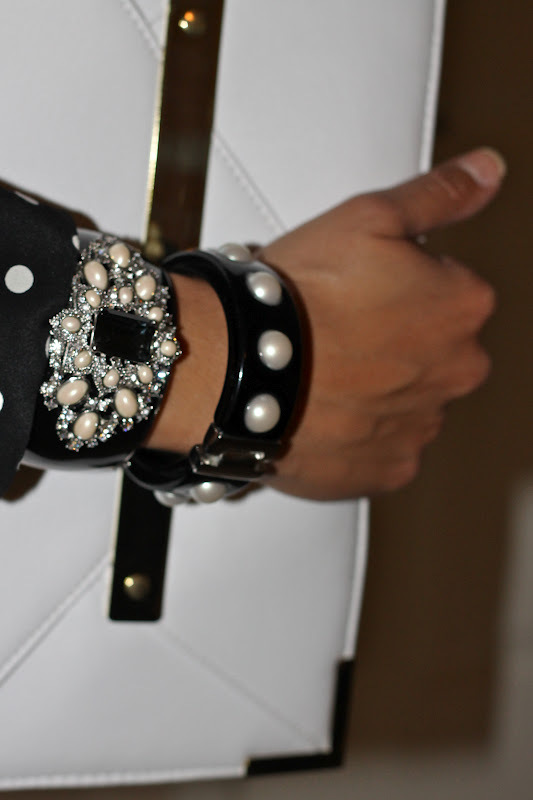 ;) LOVE your polka dot blazer. lovely! i like your jacket, the polka dots are cute! 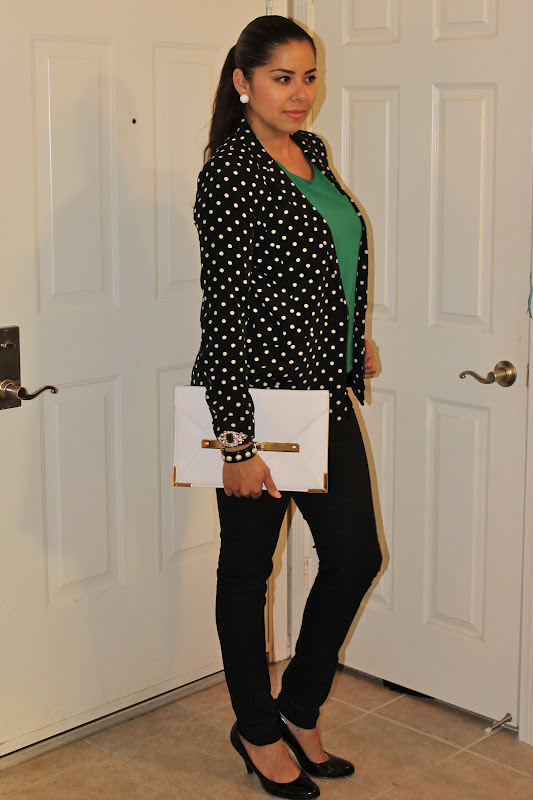 love your glam up version of preppy outfit - your polka dot blazer is really cute! Beautiful collection and i love your clutch!! Looks great! And I love the green top with the polka dots!